On the heels of the White House’s commitment to open data, Blue Raster collaborated with ICF International under The Demographic and Health Surveys (DHS) Program to build the DHS Indicator Data Application Programming Interface (API). 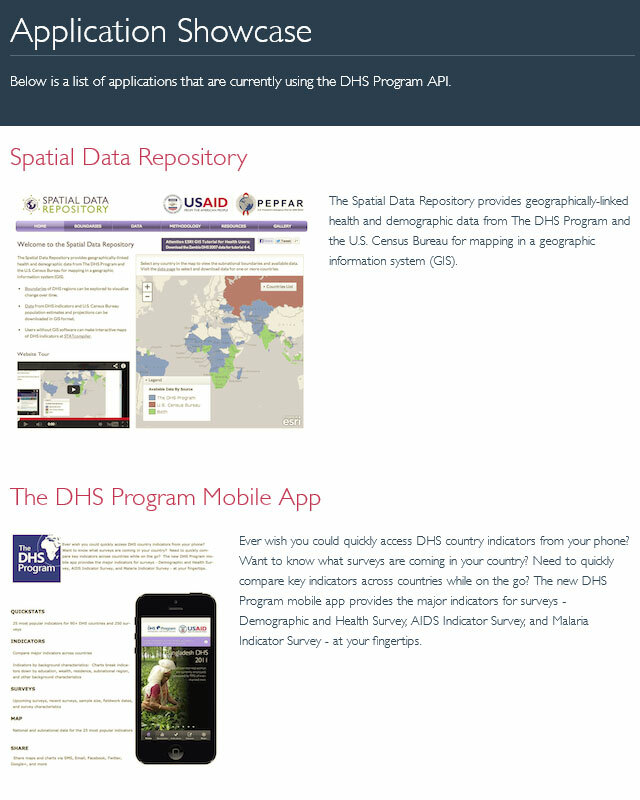 Funded by the United States Agency for International Development (USAID), the API provides users direct access to over 30 years of Demographic and Health Survey (DHS) data for more than 90 countries covering almost 1,500 indicators – more than 3 million records. By using this tool, developers, analysts, and researchers can obtain DHS data programmatically and develop applications that suit their needs. The API was developed by Blue Raster on the ColdFusion Web Application platform. Developers can query the DHS data using both a RESTful interface, which allows selecting parameters including countries, indicators, and surveys, as well as a conventional query-based interface which provides advanced options for obtaining more customized results. For those looking to query large sets of data, the API offers additional parameters that control the format, citation, and version information. Additionally, JSON, XML, CSV and HTML output formats are supported to provide users with flexibility. For more details, visit the DHS Indicator Data API website. 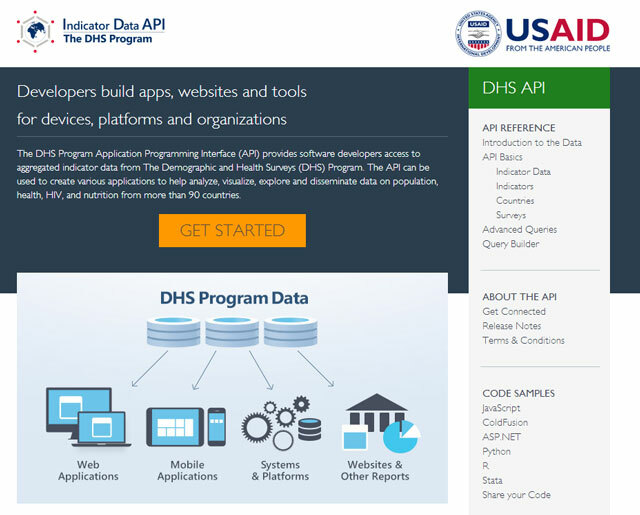 Let us know if you build an app, and follow the API on Twitter (@DHSprogramAPI).